Vinegar, Better than Prescription Drugs? Send Questions to: Emily Thacker C/O James Direct, Inc., 500 S. Prospect Ave., Box 980, Hartville, Ohio 44632. If interested in Emily’s latest book and a FREE Special Bonus please read the articles on this page. Emily Thacker is the author of over 17 books. Her best-selling books about common household products have appeared in USA Today, Parade Magazine, and The Saturday Evening Post. Eliminate Belly Fat with Vinegar! Dear B.A. : I will give you my natural Fresh Air freshener from page 108 of my latest book The Vinegar Anniversary Book. Put the following into a pump spray bottle: 1 teaspoon baking soda, 1 tablespoon white vinegar and 2 cups of water. After the foaming stops, put on the lid and shake well. Spray for instant freshness. Dear C.A. : Yes, vinegar could eventually etch the limestone and slate. You might find that a quick rinse with vinegar, followed by a thorough rinse with lots of cool water will minimize the damage it could do. You may also want to look into the benefits of a water softener to minimize the problem. his is kind of embarrassing, but here goes. My name is Sarah Pierce. I am 58 years old, and through the years (in my mind’s eye) I always thought I looked pretty decent. Especially so when our second daughter was married. I really considered myself a rather ‘smashing’ Mother of the Bride. That is, until the wedding pictures came back. I just couldn’t believe it. Here I am, definitely portly - not lean and svelte like I thought. Unfortunately the camera doesn’t lie. Since then, I heard about Emily Thacker’s Vinegar Diet and decided to give it a try. What surprised me most was how much I could eat yet I was losing weight and inches. It was like I was getting thin, thinner and thinner yet with the Vinegar Diet. I just thought you should know. - S. P. N. Canton, Oh. Vinegar Heals Ear Ache in 2 days. have been plagued with an itchy ear for several months. It then developed into an earache. I was able to cure both the itch and earache in two days. - J. D. Jacksonville, Fl. Recently, I had the pleasure to attend the NRECA meeting? Central Electric Power NRECA Annual Meeting in Orlando, which Association selected Wallace to represent is always a productive time filled with industry their local service area in the statewide Youth peers and news. And this year presented an Leadership Program for 2018, and during the especially momentous occasion for Mississippi, program’s annual workshop in Jackson, he was as one of our Youth Leadership Program particselected by industry professionals to represent ipants holds the elite title of the Mississippi on the national Youth 2019 NRECA national spokesperson Leadership Council. From there, he – and he sure stole the show. went on to win the pinnacle award of That young man is Wallace the program, the speech competition “Bubba” Bass, a senior at Leake held last summer in Washington, D.C., County High School who will where he competed against 42 council graduate in May. And let me tell members from other states and earned you, this poised, 18-year-old student the title of NRECA national spokesperbrought an audience of nearly 6,000 son. In fact, in our 32-year history with people to its feet, applauding his the program, this was the third time a My Opinion outstanding presentation with an Mississippian had captured that title. Michael Callahan emphatic standing ovation. For me, being there backstage as Executive Vice President/CEO Electric Cooperatives If I could use only one word to Wallace made his speech that was of Mississippi describe Wallace’s presentation that met with a roar of applause was an day, it would be “exceptional.” Elooutstanding moment that I’ll never quent and confident, he strolled across the stage forget. I was so proud of him, our state and the as he shared a glimpse into his life, his family, hardworking people who make up our many his faith and his goals. He wove into his speech successful electric cooperatives. And, it was also a call to action for his young peers to aspire to a clear reminder of exactly why we participate become responsible leaders, which was centered in the annual Youth Leadership Program – to around a quote by Franklin D. Roosevelt, expose our high school students to a world of which states, “We cannot always build the opportunities and experiences. There is no future for our youth, but we can build our doubt that the impact this program is making youth for the future.” He also told of his within our state is, well, exceptional. great-grandfather who worked as a In closing, I’d like to offer a round of sharecropper to provide for his family of 14 congratulations. First, to Wallace for the children and how he thoughtfully displayed his preparation, delivery and message behind your worn-out, torn work shoes as a representation presentation; it was exceptional. Second, to our of the sacrifices made – a legacy that has left current 2019 class of 87 students from across Wallace and new generations of his family Mississippi; your drive to excel is exceptional. with the inspiration to work hard to “fill those Third, to our 20 electric cooperatives who big shoes.” participate in and support the Youth LeaderThrough his message, Wallace captured ship Program in their communities; your more than our attention. He captured our commitment is exceptional. And finally, hearts. to the ECM team for helping organize the So, how did Wallace, from Carthage, program on local and national levels; your Mississippi, end up center stage at the national work and dedication are exceptional. The Official Publication of the Electric Cooperatives of Mississippi Today in Mississippi is brought to you by your member-owned, not-for-profit electric cooperative to inform you about your cooperative and its various services, including wise energy use. If you are not a member of a subscribing cooperative, you can purchase a subscription for $9.50 per year. Today in Mississippi (ISSN 1052-2433) is published 11 times a year (Jan.-Nov.) by Electric Cooperatives of Mississippi Inc., P.O. Box 3300, Ridgeland, MS 39158-3300, or 665 Highland Colony Parkway, Ridgeland, MS 39157. Phone 601-605-8600. Periodical postage paid at Ridgeland, MS, and additional office. What’s Mississippi to you? What do you treasure most about life in our state? Send your thoughts to Today in Mississippi, P.O. Box 3300, Ridgeland, MS 39158, or to news@ecm.coop. Please keep your comments brief. Submissions are subject to editing for length and clarity. Rates vary slightly by zip code. Not affiliated with any government agency. Rates include household discount. me how to split it. Daddy passed away in 1994 and my husband James and I closed up the old house and I began cooking again on the electric stove in our house. After a few days, James said, ‘Food doesn’t taste good anymore, I believe you need to go back to cooking on the old wood stove.’ So that’s what we did for over ten years after daddy died.” But when Annie Ruth’s husband died in 2004, she again closed up the old house and retired the old wood cook stove. I asked Annie Ruth if there was anything she would like to tell my readers, and she said, “I have had a wonderful life, wonderful parents, thirty great years teaching young minds and playing the piano in my church, and I’ve continued to live right here.” Then she grinned and said, “But I sure do miss that old wood stove and its wonderful food.” Kay Grafe is the author of “Oh My Gosh, Virginia.” To order, send name, address, phone number and $16.95, plus $3.50 S&H to Kay Grafe, 2142 Fig Farm Road, Lucedale, MS 39452. By Sandra M. Buckley Growing up in Oxford, Karen Kurr spent weekends with her parents and sister on the family farm in central Mississippi where they raised cattle and tended a grape vineyard and hearty vegetable garden. It was on the family farm that Karen learned about cooking off of the land and the joy of family time around the dinner table – values she still cherishes and puts front and center in her own family. “Friends and family cherished an invita- Karen Kurr is a member of the North East tion to Mama’s table, loaded down with Mississippi EPA. Visit her homegrown vegetables and Daddy’s www.notime2cook.com grain fed Angus beef,” Karen recalls. to learn more about No Time 2 Cook and “However, it was the conversation, for more recipes. fellowship and laughter that was enjoyed and remembered above all else. Mama and Daddy are gone now, but we as a family still gather around their old farm table enjoying some of the same foods and memories of days gone with our children, family and friends.” A few years ago, Karen found a way to honor and encourage such mealtime traditions by combining her passion for food with a mission to bring today’s busy families back to the dinner table – with No Time 2 Cook, her frozen meal business featuring wholesome ingredients and time-treasured recipes. Inspired by with fresh Mississippi ingredients, Karen selected a few of her favorite farm-to-table recipes (and memories) to share with Today in Mississippi … Enjoy! Preheat oven to 350 degrees. Slice bell peppers, mushrooms and onion into a bowl, sprinkle with salt and pepper and toss. Pour 1 cup chicken broth into a casserole dish (reserving remaining broth for the rice). Salt and pepper the chicken, dredge in flour and arrange pieces in broth. Sprinkle any remaining flour over chicken. Next, cover the chicken with sliced peppers, mushrooms and onions and bake for 30 minutes. Turn the chicken over and bake for an additional 30 minutes. While the chicken is cooking, prepare the rice according to package instructions (using reserved broth as part of the water called for in the instructions). Serve chicken, vegetables and broth over wild rice. Preheat oven to 425 degrees. Prick whole sweet potatoes with a fork, place on a cookie sheet and bake 45-50 minutes. Remove potatoes from the oven and allow to cool slightly. Split, scoop out and mash the potato, which should yield about 3 cups. Add and beat in sugar, cinnamon, eggs, vanilla and melted butter. Pour mixture into a 6 x 12-inch or 9 x 9-inch baking dish. For the topping, mix together brown sugar, flour and pecans. Drizzle melted butter slowly over pecan mixture, tossing as you drizzle. Crumble topping over sweet potato mixture. Bake approximately 45 minutes. Preheat oven to 350 degrees. Prebake pie shell for 8-10 minutes, until lightly browned. Slice or rough-chop the tomatoes, removing seeds with juice. Salt tomatoes and drain, removing as much juice as possible. Slice the basil, add pepper and mix into the chopped tomatoes. Arrange tomato mixture in the bottom of the prebaked pie shell and cover with cheese. Combine mayonnaise, sour cream, garlic powder, onion powder and hot sauce and spread over cheese. Bake for 45-50 minutes, or until golden brown and bubbly. Let stand for 10 minutes before serving. Preheat oven to 425 degrees. Brown butter to a nutty brown color and then cool slightly. Next, mix Karo, sugar, eggs, lemon juice, vanilla, salt and browned butter. Place pie shells on a cookie sheet and cover piecrust edges with a metal pie protector or crimp pieces of foil around the edges to keep the crust from getting too brown. Divide pecans and filling equally between shells. Push pecan pieces down into the filling so that all are well coated and evenly distributed in pies. Bake for 10 minutes, then turn oven down to 325 degrees and continue baking 40-45 minutes. Pies are done when the middle barely shakes and an inserted knife comes out pretty clean. Yields two pies. Sleeper accepts the Youth Leadership Award from Ron Stewart, senior vice president of the Electric Cooperatives of Mississippi. Payne Sleeper, representing Alcorn County Electric Power Association, was selected as the 2019 Youth Leadership Council (YLC) member. He is the son of Natalie and Ronnie Sleeper of Corinth and attends Corinth High School. He will serve a one-year term as Mississippi’s YLC and attend a conference in Washington, D.C., with YLC’s from across the United States. Sleeper is an exceptional student. He is a member of the student council, Fellowship of Christian Athletes and drama club. Outside of school he is a member of the Boy Scouts of America, Junior Leadership Alcorn, Mayor’s Youth Council and the First Baptist Corinth youth group. afforded me to learn about the agriculture industry as well as myself. I started back riding and wanted to get back to competing. Over the years, I have competed in barrels, poles, stake race, goat tying and break away roping. Are there valuable life lessons you’ve learned from the sport of rodeo? One of the most valuable lessons that I have learned from rodeoing is to never give up and go after the goals you’ve set with all that you can. There were many times I would not have a good run at a rodeo and would be disappointed, but that made me want to try even harder next time and keep working until I reached the goals that I set. How would you describe the moment you were named and crowned Miss Rodeo America? When I was standing on the stage, and the moment that they announced I was the 2019 Miss Rodeo America, it was the most surreal and exciting moment of my life. I was nervous, excited, surprised and ecstatic all at the same time! There were so many amazing young women on that stage with me, and I am so grateful for this experience. 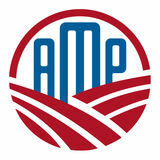 Are you able to use your national platform to shine a spotlight on Mississippi’s rich agriculture industry? I am a proud Mississippian through and through, and I do feel that with having this national title that I am able to share more about the agricultural roots that I come from as well as the great State of Mississippi. Having earned a Bachelor of Science degree in Agriculture Business from Mississippi State University and with plans to attend the University of Mississippi School of Law and pursue a Master of Law in Agriculture and Food Law, what is your ultimate career goal? I thoroughly enjoy the policy side of agriculture. I feel like there are really exciting opportunities to help Mississippi famers and communities through lobbying for their best interest and what they need to produce the highest quality of food and fiber to feed and clothe the world. 1. French Camp Alumni Museum. By Tiffany Sarah Smith, French Camp; Delta EPA member. 2. My arrowhead collection, all found locally in Petal. By Keith Ball, Petal; Dixie EPA member. 3. An old windmill in Neshoba County. By Karon Wilcher, Carthage; Central EPA member. 4. My father's typewriter he purchased shortly before he enlisted in the Army and used it while serving as Company Clerk in World War II during his duty in the Philippines. By Linda Hollingsworth, Quitman; East Mississippi EPA member. 5. A classic Ford Fairlane I saw in Ocean Springs at a Cruising the Coast event. 4 By Jerome Zoller, Vancleave; Singing River Electric member. 6. “All things pass.” By Laird Bagnall, Columbus; 4-County EPA member. 7. “Artifacts from the past.” By Norma Bowlin, Summit; Magnolia Electric Power member. 8. “Old records in a trunk.” I've been collecting vinyl records since I was a kid, when my grandmother gave me her collection. By Lindsey Bowen, Ackerman; 4-County EPA member. 9. A 1907 Weaver pump organ and stool. By Kate and Nelson Wilson, DeKalb; East Mississippi EPA members. 10. A War Ration Book with my mother-in-law's name on it. By Donna Stafford, Olive Branch; Northcentral EPA member. 11. These are two cameras that my father used to take hundreds of photographs. The photograph in the background is one my father took of my mother, sister and me on a camping trip in the early 1960s. By Sandy Warren, Benton; Yazoo Valley EPA member. 12. I spotted this truck in a shed while visiting a friend in Bogue Chitto. By Elizabeth W. Boyd, McComb; Magnolia Electric Power member. 13. The smokehouse my grandfather used for many years to smoke meats. I now live on their property and get to admire this piece of my family’s history on a daily basis. By Angela G Smith, Jayess; Magnolia Electric Power member. 14. Cotton boll clip-on earrings from the 1950s that belonged to my grandmother who lived in the Delta. By Madeline Cuevas, Wesson; Southwest Electric member. 15. “Bottles.” By Sandra Wadsworth, Hattiesburg; Pearl River Valley EPA member. 16. A 1934 piggy bank that belonged to Grandma. By Blanche Walters, Picayune; Coast EPA member. 17. My late fatherâ&#x20AC;&#x2122;s old â&#x20AC;&#x2DC;75 Chevrolet. Believe it or not, it still runs! By Debra Pierce, Leakesville; Singing River Electric member. 18. This little wooden rocker is one of two made for my mother and her twin sister in 1936 in Winston County. By Charlene Bennett, Sumrall; Pearl River Valley EPA member. 19. A 1931 Lincoln Model K and a 1941 Stearman airplane at the Antique Auto and Engine Club of Mississippi and Vintage Airplane Show in Gulfport. By Andy Switzer, Gulfport; Coast EPA member. facility study conducted for Magnolia Electric revealed the cost of providing broadband fiber to the homes on Magnolia’s system would cost $100 million. The Mississippi Broadband Enabling Act signed into law, contains language prohibiting putting at risk the electric distribution company or using its reserves or revenue to subsidize or pay for a broadband program. Broadband programs and the electric distribution company are to be kept totally separate and independent of each other. However, the bill does allow the electric distribution company to loan money to the broadband subsidiary. If the broadband subsidiary should fail to generate enough revenue to pay its note, then the electric distributive membership would be responsible for paying off the loan for the broadband program. This is troubling for Magnolia Electric. We are below the threshold of being able to make a broadband financial model that would work and pay for itself due to low consumer density. SmartHub lets you manage all aspects of your Magnolia Electric Power account. SmartHub allows you to view your daily use and manage your account right from your mobile device. With SmartHub, you have the tools you need to manage your accounts with mobile and Web apps fully integrated with Magnolia Electric Power. SmartHub delivers account information, mobile payments and more in a secure environment. When temperatures vary, SmartHub is a convenient way to manage your daily power use. MANAGE WEBSITE VERSION My Account Visit www.mepcoop.com Click on MANAGE my Account. This will direct you to our SmartHub site. MOBILE APP VERSION A mobile version of SmartHub is available in the Apple App Store or Google Play Store. Search for “smarthub” to install. Magnolia Electric will continue to study and gain information on broadband for rural areas. We will perform additional surveys and studies in the time to come and continue to keep an open mind on the possibility of a future, successful broadband initiative. We are open to the prospect of grants and partnering with local communication companies to bring about broadband to the membership and have already been in discussion with one company. As always, Magnolia will remain focused on protecting our very successful electric distribution company and its members’ interests. One hundred million dollars is a lot of money. Any future decisions on Magnolia Electric Power going into the broadband business will be after much careful study, deliberate fact finding and the formulation of a business plan that would be financially successful and garner the support of the full membership. Outage Reportin g a t your fin gertips! Watch out for power poles! Farm equipment’s a lot taller and wider than it used to be. That’s why you should use extreme caution when operating equipment near power poles and lines, leaving a clearance of at least 10 feet. Knocking over a power pole or getting tangled up in the lines can be dangerous — even deadly. Think Safety around power poles! earth or balance the flow of power and help ensure safe operation of the system, or they could be guy wires to keep the pole straight. The lowest layer carries non-electric lines: cable TV, telephone, internet and traffic light controllers. There’s one more layer—any of those lines might go under the ground to get to a house or meet up with other underground lines. These are the basic parts of an electric utility pole, and now you know how poles get power to the people! This illustration shows basic equipment found on electric power distribution poles. Not all poles have all this equipment on them. They vary according to location and the service they provide. without YOU Magnolia Electric Power salutes our linemen and their families. These are the families of Magnolia Electric Powerâ&#x20AC;&#x2122;s linemen. Please remember, that when the power goes out, so does a lineman, no matter the time of day or night or the weather conditions. They leave their families to serve Magnolia Electric Powerâ&#x20AC;&#x2122;s members. April 18 is National Lineman Appreciation Day; if you see them in your communities, remember to thank a lineman and their family. Sen. Bob Dearing, Baleigh, Abby, Amia, Carley, Sen. Tammy Witherspoon and Sen. Sally Doty at the Mississippi State Capitol. Above: From left, Lucy Shell, MEP program coordinator, Baleigh, Ron Stewart, Carly, Amia, Abby, Mel and Skipper Anderson, MEP advisors. Right: Abby accepts a Youth Leadership finalist award from Ron Stewart, senior vice president, Electric Cooperatives of Mississippi. Thursday afternoon, the students participated in team-building exercises led by Elyon Outreach Ministries that were designed to encourage leadership and teamwork as necessary components to successfully completing a set of challenging activities. Afterwards, the students enjoyed an exciting evening with local magician and comedian Dorian LaChance, who thrilled them with his illusions. Concluding the event Friday morning, the students attended a recognition and awards ceremony, which was followed by a motivational speech from Bro. Terry Rhodes of Van Vleet, Miss., who shared with them his extraordinary story of courage and determination. Part of the Youth Leadership workshop is the opportunity to apply for scholarship opportunities. Abby Burris was selected in the Top 10 of the students that applied and was recognized at the awards ceremony. Magnolia Electric Power hopes to prepare these young people for a bright future through the Youth Leadership Program. The experience has proven over the years to encourage students to reach far and wide to realize their goals and dreams. Magnolia Electric Power is a proud sponsor of the program. “We are proud to have these four outstanding students represent Magnolia Electric,” said Darrell Smith, general manager. “They are our future leaders, and we look forward to seeing all that they accomplish.” In June, the students will travel to Washington, D.C. The seven-day trip will include visits to popular monuments and memorials, as well as meetings with Mississippi’s congressional delegation during a visit to Capitol Hill. Amia, Abby, Lt. Gov. Tate Reeves, Carley and Baleigh. Carley, Baleigh, Rep. Sam Mims, Amia and Abby. Above: Students pose for fun photos in the photo booth. Left: Thanks to our senators and representatives for joining Magnolia Electric Power’s students at the legislative breakfast. Senator Angela Burks Hill, Rep. Becky Currie, Rep. Vince Mangold, Amia Miller, Sen. Sally Doty, Carly Craig, Rep. Bill Pigott, Baleigh Brumfield and Abby Burris. Visit www.genuinems.com or call 601-359-1159 for more information. Heat deep fryer to 350 degrees. Combine cornmeal, flour, cornstarch, salt, cayenne pepper and black pepper in a shallow bowl. Evenly coat catfish fillets with cornmeal mixture and shake off any extra. Cook fish for five minutes, or until golden brown. Let cool slightly on a wire rack. Combine honey and zests in a small bowl and heat in microwave for 1 minute. Drizzle fillets with honey mixture and serve. Recipe shared by the Kitchen of the Mississippi Department of Agriculture and Commerce. Type or print your ad clearly. Be sure to include your telephone number. Deadline is the 10th of each month for the next month’s issue. Rate is $2.50 per word, 10-word minimum. 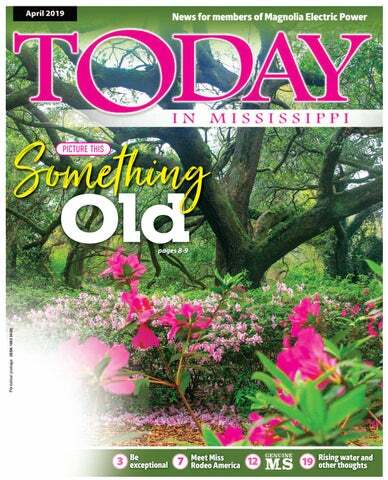 Mail payment with your ad to Today in Mississippi, P.O. Box 3300, Ridgeland, MS 39158-3300. Have any questions? Phone 601-605-8600 or email advertising@ecm.coop. PLAY GOSPEL SONGS by Ear! $12.95. “Learn Gospel Music” - chording, runs, fills - $12.95. Both $24. Davidsons, 6727 MS Metcalf, Shawnee Mission, Kansas 66204. 913-262-4982. FREE MATERIALS: Soon Church/Government Uniting, Suppressing "Religious Liberty" Enforcing "National Sunday Law." Be Informed! Need mailing address: TBSM, Box 99, Lenoir City, TN 37771, thebiblesaystruth@yahoo.com, 1-888-211-1715. Garage with hardy siding and concrete slab, any size. We will build any size barn. Live event most Fridays at 10 a.m. And you can always email your questions to me at southerngardening@msstate.edu. A tagline I use on my email is even, “Why google when you have me?” Take advantage of these resources. Don’t hesitate to ask questions and look up answers so you can have your best garden and landscape in 2019. Want more than 438,900 readers to know about your special event? Events open to the public will be published free of charge as space allows. Submit details at least two months prior to the event date. Submissions must include a phone number with area code for publication. Send to Mississippi Events, Today in Mississippi,P.O. Box 3300, Ridgeland, MS 39158-3300; fax to 601-605-8601; or email to news@ecm.coop. Events are subject to change. We recommend calling to confirm details before traveling. workshops on herbs and crepe myrtle bark scale. 8 a.m. - 12 noon; Co-Lin Community College, Natchez campus; 11 Co-Lin Circle. Free admission. Details: 601-445-8201. 9th Annual Cruise for St. Jude, Apr. 27, Lucedale. Motorcycle ride, poker run, car/truck/motorcycle show, live music, food vendors and LifeSouth Blood Mobile. 9 a.m. 2 p.m. L.C. Hatcher Elementary School. Details: 601-508-2202. A Night Under the Stars, Apr. 27, Dekalb. A fundraiser for Kemper Academy’s arts and music program with outdoor children’s activities, including field games, bouncy house, concessions and more. Admission. Details: 601-743-2232. Rankin County Master Gardeners Plant Sale, Apr. 27, Brandon. Hundreds of beautiful plants for sale. 8 a.m. - 12 noon. MSU Extention Building; 601 Marquette Road. Free admission. Details: 601-825-1426. Barn Sale - Antiques & Collectibles, May 3-4, Purvis. More than 65 vendors with trailer loads of antiques and collectibles. 7 a.m. - 5 p.m. 4799 Old Hwy. 11. Free admission; $2 parking. Details: 601-818-5886. Springfest, May 4, Monticello. Presented by Divide Memorial Methodist Church. Lots of food, children’s activities, bake sale, vendor booths, door prizes, concert and more. 8 a.m. - 3 p.m. Free admission. Details: 601-431-9317. 2nd Annual Trinity Plant Sale and Quilt Show, May 4, Starkville. Numerous plants and gardening items plus art and quilt displays. All sales benefit charities. 9 a.m. - 2 p.m. Trinity Presbyterian Church; 607 Hospital Road. Free admission. Details: 662-323-9340. Rummage and Bake Sale, May 4, Brandon. Featuring clothing, furniture, household goods, baked goods and more. All sales benefit charities. 8 a.m. - 4 p.m. Nativity Lutheran Church. Details: 601-825-5125.
hen you grow up along the Mississippi River as I did in Greenville, for the rest of your life anytime you get near it you hear your father gravely warning you, “That River will kill you.” When my dad told me that I’m pretty sure he was counting on me storing it in the “good advice” side of my brain and not in the youthful “let’smake-that-a-challenge” side. I obviously heeded it or I wouldn’t be writing this now. His words whispered to me again the other day as I parked my car at the barricade on Silver Street at Natchez Under The Hill and walked to where the flooding Mississippi was boiling over its banks into the low dip where the Lady Luck Casino used to dock. My path was only a few feet above water and just a few feet from the bank. The current was angry. And close. I remembered not to stray near it. Nearly a hundred yards of floodwater lay beyond the barricade over Silver Street. It had to have been at least three feet deep at the low spot. Another set of identical barricades blocked the far side of the flood. After that the dry pavement again emerged from its impromptu bath and continued its way on up the steep bluff. and grew deeper the flood of 2011 began to be mentioned quite a bit, the last worst-flood in the Delta. As the water deepened further, the 1973 flood started creeping into the conversation, the worst flood since 1927 in the south Delta. I did a high water story for WJTV in the lower Delta in early March. Not grasping the magnitude of the flooding that had already taken place, I imagine mine was one of the last automobiles to actually make it from Holly Bluff to Satartia before the road became completely impassable. And I only had one lane out of the water in places. It never occurred to me the flooding was already that bad until I got into it. And yes, I heard Daddy’s voice again as my road seemed to sink closer and closer to the edge of the water until it was just a spit of asphalt before me, raised ever so slightly above the lapping floods on either side. Next time I look out and see that I’m in the middle of a cypress bayou I want to be in a boat, not my car, and preferably with a fishing pole and not a camera. Walt Grayson is the host of “Mississippi Roads” on Mississippi Public Broadcasting television, and he is the author of two “Looking Around Mississippi” books and “Oh! That Reminds Me: More Mississippi Homegrown Stories.” Contact him at walt@waltgrayson.com.